This fusfu cute hanging bag is something any girl of any age can carry. 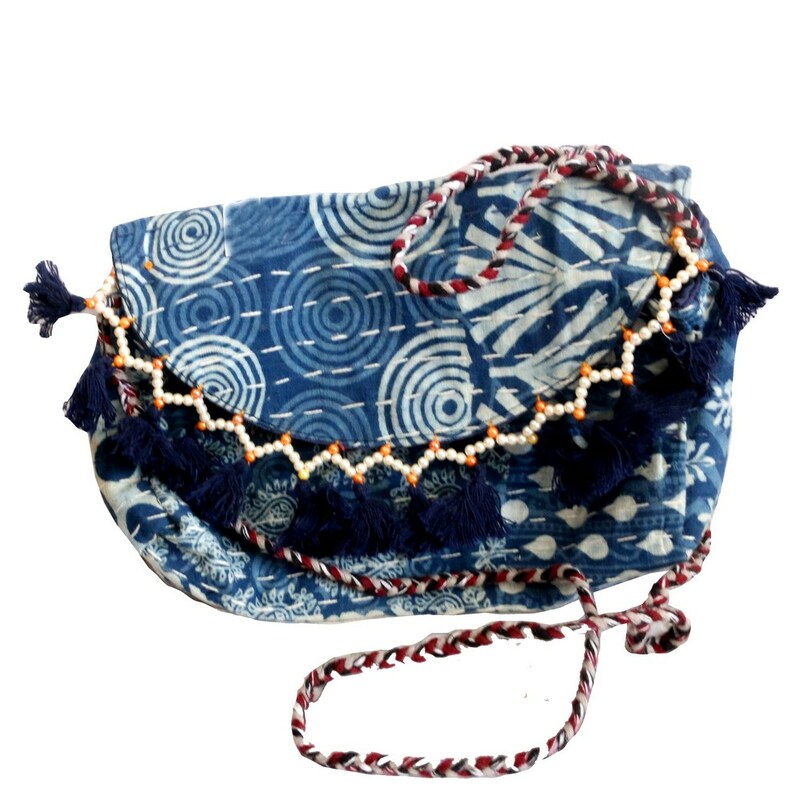 The ideal selection of blue colour helps to accentuate the very Read More..construction of the bag. It has a very girlish vibe due to the frill like pattern, well carved with kanta designs all over. Show Less..